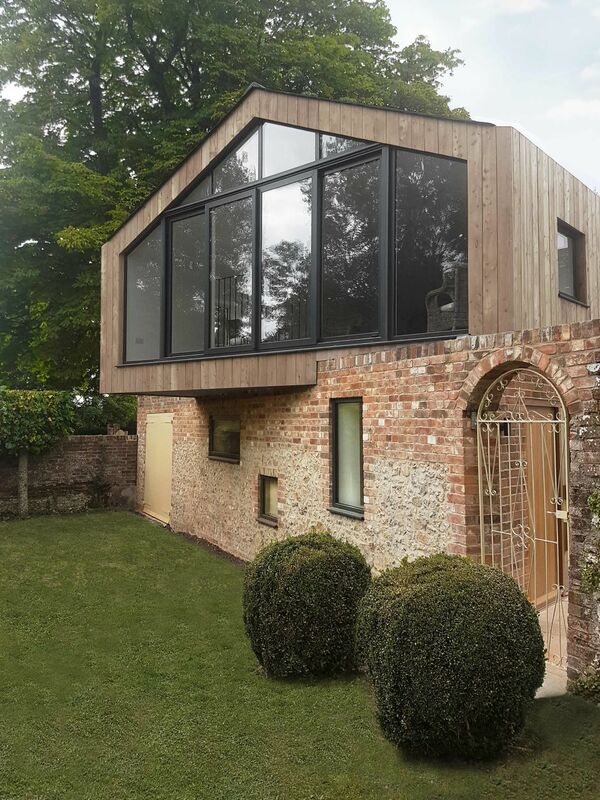 Richmond Bell Architects were commissioned to design a unique outbuilding for the Manor House in Shilingstone, Dorset. 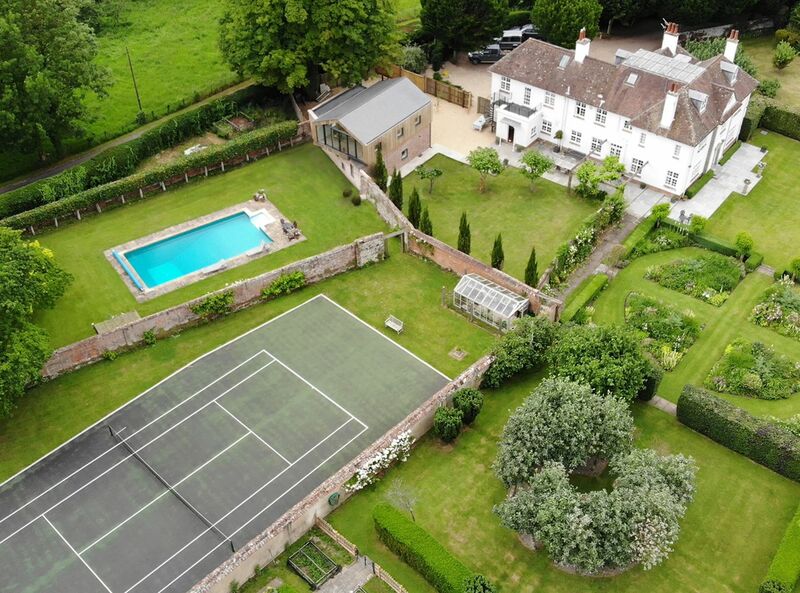 The project included the demolition of the existing garage and outbuilding and the creation of a pool house with bunk rooms on the ground floor along with a replacement garage and workshop. 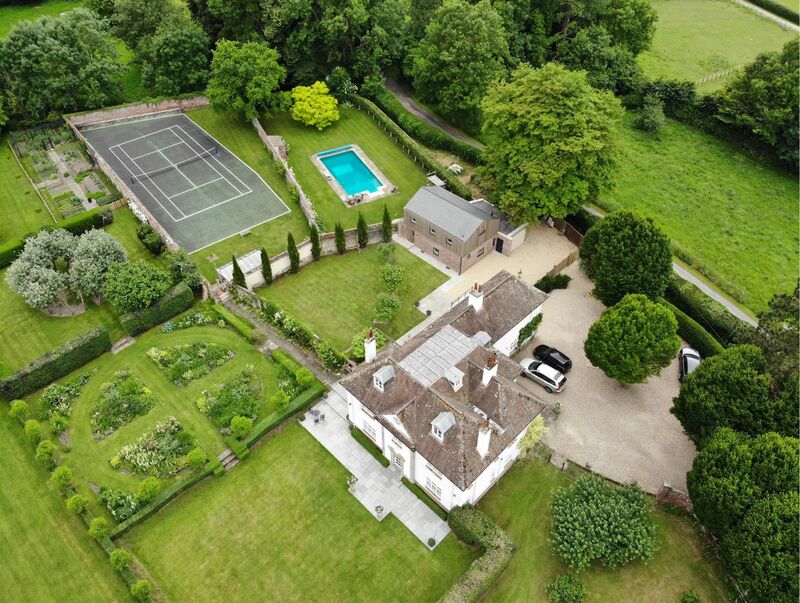 The upper floor has an extensive entertaining space which overlooks the swimming pool and gardens. 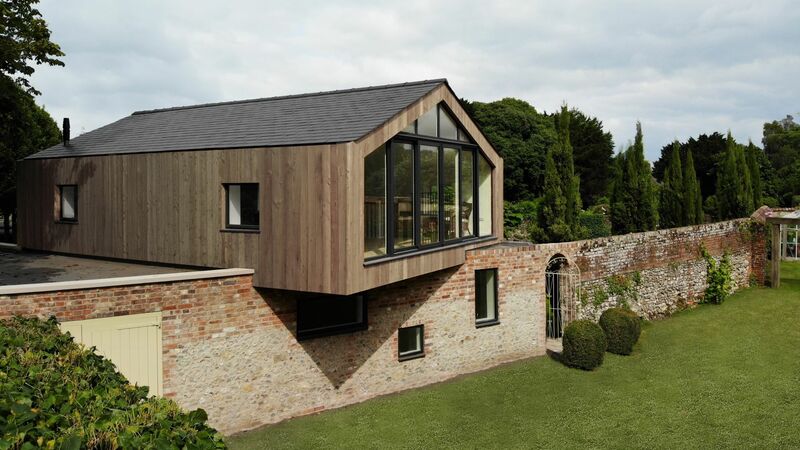 This contemporary design relies upon a cantilevered first floor which rests on the original brick and flint garden wall. There are a collection of different sized windows built into the wall which frame the views to the pool area, while floor to ceiling glass on the upper floor allow views to the formal gardens of the Manor House. 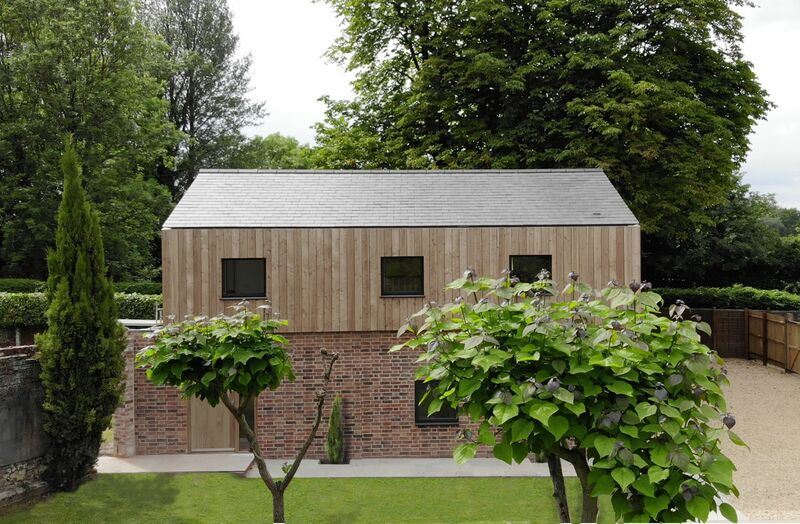 The external materials include vertical larch cladding and a natural slate roof. The detailing of the gutters are hidden within the roof, which gives this build a clean and modern aesthetic.